Journalists at this week&apos;s gathering in San Francisco of experts on the hormonal system might be excused for believing they&apos;d stumbled into a bookstore&apos;s fad diet section. A group of Australian scientists, however, suggested this type research may be counter-productive. 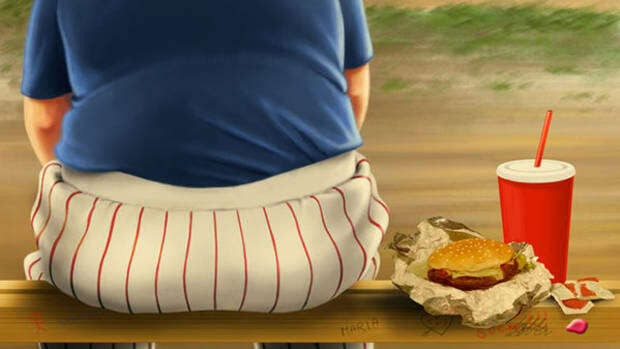 They presented a paper in San Francisco Tuesday suggesting a new batch of obesity-themed news stories is the last thing a fat person wants or needs. "Obese people frequently feel overwhelmed and disheartened by the publicity about their condition," said Paul Komesaroff of Melbourne&apos;s Monash University, author of "Being Fat in Today&apos;s World: A Qualitative Study of the Lived Experiences of People with Obesity," which was also presented this week in San Francisco. "Our participants express the view very forcefully that they feel victimized by current social attitudes about obestity. To be told that, in addition to the problems that they recognized only too well, they are now regarded as ‘sick&apos; is unlikely to assist them to find a solution." Not much new ground there. Notwithstanding, Komesaroff&apos;s Endocrine Society colleagues, and the press department promoting their work, seemed intent on generating news on ways to kiss excess pounds goodbye. Ordinary diets are painful and and useless "due to a carbohydrate withdrawal effect that exacerbates carbohydrate craving and hunger," says the research summary for a diet-themed paper by Virginia Commonwealth University&apos;s Paulina Essah. The answer? Essah&apos;s diet promises to melt belly fat through a big, high carbohydrate and protein breakfast that curbs hunger all day. Most weight loss schemes are a wreched waste of time, and focus "on conscious, draconian self-deprivation efforts including portion control, fasting, hedonic sacrifice, or initiation of a rigorous, often painful, exercise program," according to the research abstract of "The use of tastants in Weight reduction," by the Smell & Taste Research Foundation&apos;s Alan Hirsch(). What we&apos;ll call Hirsh&apos;s Splenda and MSG diet recomends "noncaloric tastant crystals" be sprinkled on meals to "enhance gustatory evoked satiety, reducing consumption, as manifest by weight loss." Another researcher delcared the benefits of exercise. Another, weight loss surgery. These researchers&apos; message is itself a health hazard, suggest subjects interviewed Komesaroff and his team in Australia. "Many described a culture of blame against people with obesity perpetuated by media and public health messages," he writes in the abstract of his paper presented at the meeting. Do obesity researchers need maxillomandibular fixation, where metal pins and wires keep the jaw from moving? The question begs a new round of obesity research.